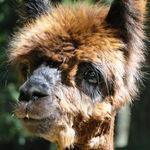 We are known for our herbal teas, salves and our alpaca sheep products. We are also a working breeding equestrian farm and ask that people email us to book appointments. Thank you for you consideration.